Also called a skirting board. A usually moulded board at the base of an internal wall to provide a cover for the wall to floor joint and to protect the wall surface from mopping or scrubbing of the floor. Used to cover the gap between the skirting and any new floor covering in renovation work when the skirtings are left in place. 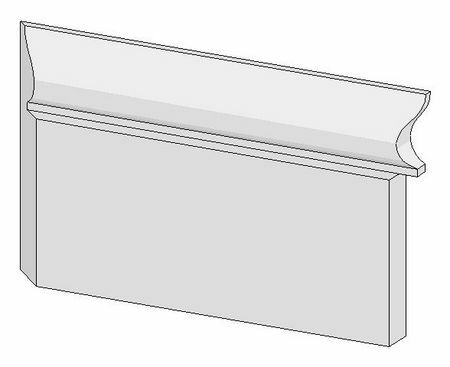 Skirting boards have very two very definite functions. They cover the joint between the wall and the floor. Many times this joint can expand and contract. It can move with the seasons, humidity and temperature. Particularly where timber is used. They protect the bottom face of the wall from cleaning operations. The board above is quite large and some sections have been removed. Some larger boards are built up in sections and fixed to grounds, as in this case. It seems that the space behind this particular skirting is being used for services. 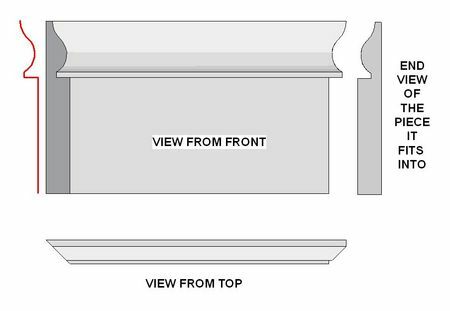 At the right is a sketch showing the position of the base mould, which is a moulded section that may be fitted to a plain rectangular skirting or baseboard The reason for this may be to build up a higher profile than material that is available. Also at the right is shown what is known in the US as a base shoe. In a perfect world there should be no need for these as normally the skirting board is scribed to the floor. However I have used them a couple of times in spite of the ugly and unprofessional look they give. that was when laying a timber floating floor on top of old flooring in existing rooms and we did not want to remove and replace the existing skirting boards. 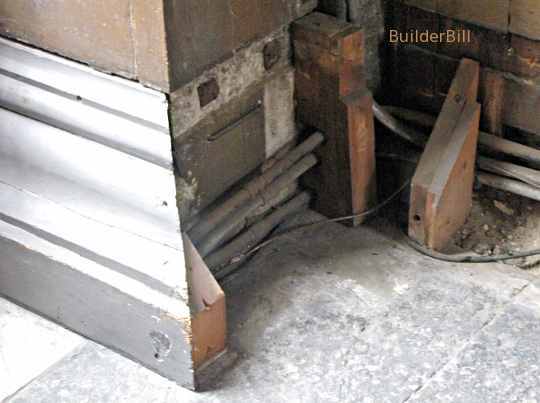 Baseboards are joined in the middle and at external corners by mitre joints. The should be joined at internal corners with scribed joints. Note! The moulding section at the top of the board sketched is and old traditional section colloquially called a "Lambs Tongue".